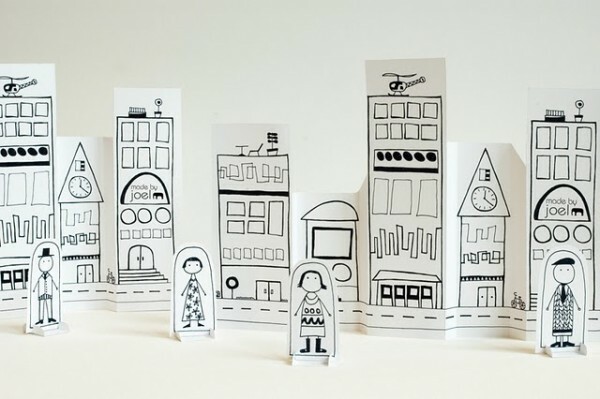 Made by Joel released another Paper City! 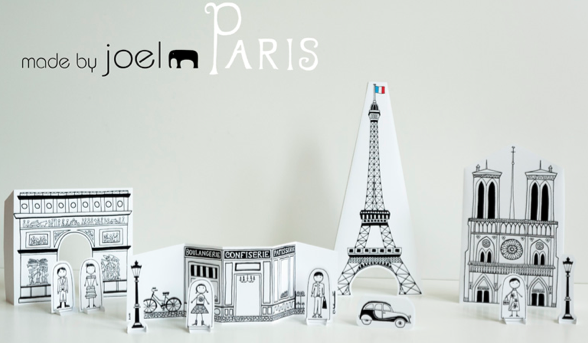 Print out a free downloadable Paris Paper City for your children to have fun playing with. Also, if you missed it when I posted it last year, be sure to download his first free Paper City. Thanks, this will go great with our unit study of the book Madeline…in the Five in a Row Curriculum. I am totally using this with our Madeline readings! Reminds me of making card houses ( and villages) when I was little. We used decks of cards, but when my son was small I would give him and any friend who visited a package of index cards to use. This kept many a child busy for hours. And, if you use index cards, you can always salvage them for use with regular projects like recipes, spelling words, etc. I think you just saved our dinner. 🙂 Awesome! Oh this is PERFECT timing. My daughter is Eiffel Tower obsessed and we are planning a Paris themed birthday party for her in a few weeks. This will be perfect. Thanks! That sounds like fun! Check out The Graphics Fairy blog for a ton of FREE Eiffel Tower and other French images that you can use for your party, for decorations or to print on goody bags and more.